Why do some athletes cling to superstitions? A brief interview with Kristine Dun. People all over Sydney are rushing, hushing and flushing to The Red Bar in Glebe for the underrated date of Saturday May 4th, 8pm til midnight for Maynard's Loveshack. New York county declares Measles outbreak emergency. Rockland County, north of New York City, has barred unvaccinated children from public spaces after 153 cases were confirmed. Also Measles fear in the Bay Area. We head to Millbrae Skeptics in the Pub, near SFO Airport, to enjoy a Guinness, a meal and good company. We ask the big question, 'should you argue with somebody who is wrong on the Internet?' With Greg Dorais, Leonard Tramiel and more. Many self-professed psychics claim to have assisted police by providing "insights" into the whereabouts of missing persons, finding evidence, etc. The newspaper headline "Psychic helps in huntforwoman" is commonplace, but rarely do we hear of any follow-up on how useful the psychic's advice (or the newspapers) would lead one to believe. Verna Morris, Maureen Chuck, Ken McLeod, Monica Saville, Dr Richard Gordon, Dr Karl Kruszelnicki, John Bundock, Peter Bowditch and Lauren Cochrane with Ada and Jack. 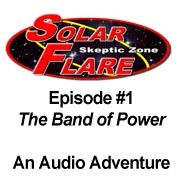 Join the cast of the Skeptic Zone Podcast, and host of special guests, in their first audio adventure as they board the Australian Space Ship Solar Flare to fight the forces of woo thoughout the galaxy! It's old time radio from the future! 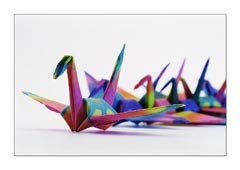 The Skeptic Zone Podcast is an independent production by Richard Saunders and the team of reporters. The views and opinions expressed on the Skeptics Zone Podcast are not necessarily those Australian Skeptics Inc. or any other skeptical organisation.